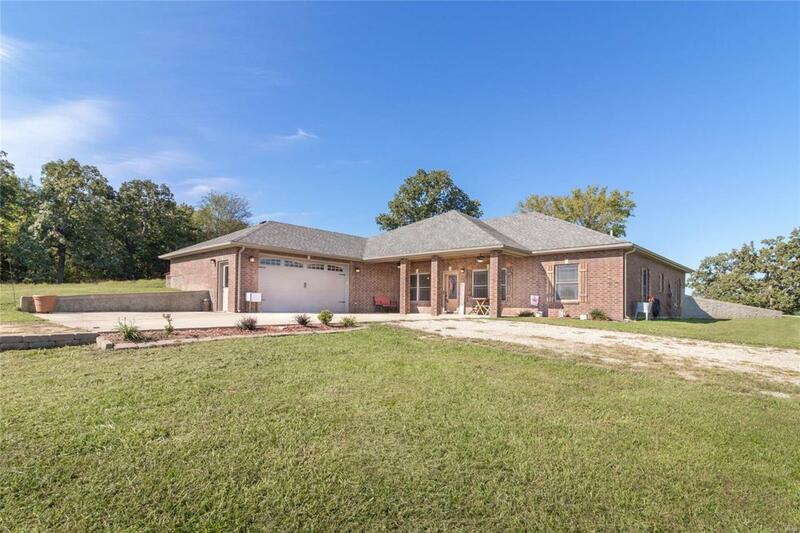 One of a kind property with 123.57 acres of land capable of handling any live stock with a good mix of woods that makes for an abundance of wild life. There is brand new 40x64 barn, and a 25x50 shop/machine shed with electric, an all metal working corral, a spring, and views galore from all over the property! Beautiful super efficient 4 bedroom earth berm home full of custom features with a rustic country feel. Features of the home include an airy open floor plan with cathedral ceilings, a huge kitchen with a center island, solid surface counter tops, stone bar top and custom hickory cabinets. The hickory also carries through to all the bathroom vanities, and built inset's in the master closet and laundry room. Spa like master bath with two vanities, vessel sinks, jetted tub & sep shower. Solid knotty pine interior doors and knotty pine base trim through out, top of the line efficient Andersen windows, foam insulated walls, and a high seer dual fuel heat pump. .